Celebrate this July 4th weekend with a patriotic playlist! With July 4th just around the corner, proud members of the United States armed services are set to bring musical fireworks to Americans’ ears. 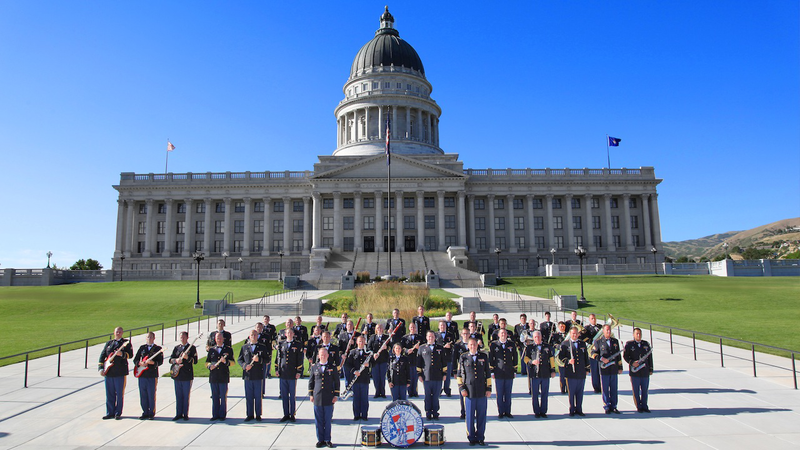 This Friday, for example, the 23rd Army Band of the Utah National Guard will give a patriotic performance at the Levitt AMP Midvale Music Series in Midvale, Utah. The U.S. military boasts 11 premier bands and over 100 active-duty and reserve bands across the federal and state uniformed services—the oldest is the U.S. Marine Corps Band, also known as “The President’s Own.” First used to signal troops and mark special occasions two decades before the U.S. Army was created in 1775, military bands acquired a commanding patron during the Revolutionary War when Gen. George Washington (an accomplished flutist) ordered his musicians to train with the regimental drum and fife majors. The current mission of the U.S. military bands is to motivate American soldiers, foster the support of the American people and promote American interests at home and abroad. Today, these service ensembles—which include orchestras, jazz ensembles, rock bands, country bands, dixieland bands and more—perform at presidential inaugurations, state arrivals, military funerals and other ceremonies. They also perform for civilians at local parades and community gatherings. Besides their stateside service, military bands are musical ambassadors for our country, performing for deployed military personnel and their hosts in faraway lands. In July 2010, at the request of the U.S. Ambassador to Morocco, the 23rd Army Band traveled to the North African kingdom to perform a series of nine patriotic concerts. On a secluded beach a few miles from Rabat, Morocco’s capital city, the 23rd Army Band’s rock ensemble won over the curious crowd with a rendition of Michael Jackson’s “Billie Jean.” Later, the band’s jazz ensemble set off a night of enthusiastic dancing and three encores. With this weekend’s performance at Levitt AMP Midvale, the 23rd Army Band is following in the footsteps of a long legacy of U.S. military bands performing at Levitt venues. Over the years, U.S. military bands have inspired audiences at Levitt Pavilion Westport and Levitt Pavilion SteelStacks, igniting national pride through their exhilarating performances. Check out the playlist below to hear for yourself! This entry was posted in Holidays, Levitt AMP on June 29, 2016 by Amanda Lester.